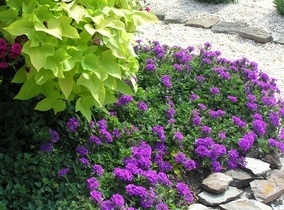 This rampant perennial grows to 3-feet wide and a foot tall and is topped with a mass of bright purple blooms that start in the spring and continue until frost. Its leaves are deep green, scalloped, coarse-textured and up to 4 inches long. 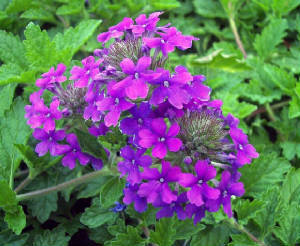 Heat tolerate plant that is easy to grow in average, medium moist to dry, well-drained soils. Attracts butterflies and hummingbirds. 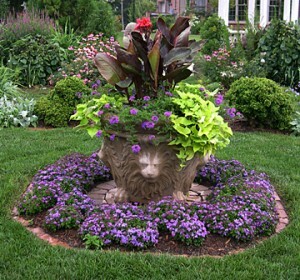 Excellent in rock gardens, borders, cascading over walls, in containers or hanging baskets.